Based on the service you received today, would you have opened an account at this bank? Based on the rental agent’s presentation, would you have rented an apartment here? Would you return to this store/restaurant and spend your own money? These questions call for your opinion, but a good answer requires that you back up your opinion with reasons and facts. Here are some examples of how to handle these types of questions. First of all, read the question carefully. The question, “If you were looking for a bank, would you have opened an account with us today?” is not the same as, “Based on the service you received today, would you have opened an account at this bank?” The second question is all about the service you received from the bank employee, not about any of the products or services you were told about. As for the basic yes or no answer, what does your gut say? If you were a “real” customer, would you have said yes to their offer or would you be willing to come back and spend your own money? Does your yes or no answer jibe with the answers in your report? If the report is glowing, and they did everything right, but you say no, well, what is the problem exactly? Likewise, it will look odd if the report shows that you received terrible service and yet you want to do business with them. Be ready with reasons to back up your answer, whether you answered yes or no. For example, perhaps the service was only so-so, but the food was delicious so you would return. Even if your report indicates everything was wonderful (or everything was awful) give one or more reasons why you would (or would not) select that business or return there. Use an appropriate reason. When you mystery shop a business, you are pretending that it is a business in which you are interested. Answering that you would not do business with that bank because it is 20 miles from your home, or that you would not rent an apartment because you own your own home, is wrong. You must put yourself in the shoes of a potential customer who walked in the door because they would consider doing business there. Another mistake is saying that you would not return and spend your own money because the prices are too high. For example, if you are evaluating a fine dining restaurant you should not say that you would not return and spend your own money because, “I would never spend $175 on a meal.” You are playing the part of someone who would spend $175 on a meal, and the question should be answered from that mindset. It might be appropriate, though, to say that the value does not compare to similar restaurants. For example, there is a well-known fine dining chain that, in my opinion, offers food and service that are not the same quality as others. If I were to mystery shop them and the report asked if I would return and spend my own money, I would probably say no, because there are other restaurants of that caliber that have more menu selections, better quality food, and more attentive service. The specific answer, of course, would depend on exactly what question they asked and how it was worded. When you are faced with one of these opinion questions, the idea is to give an honest answer, backed up with facts as to why you answered that way. 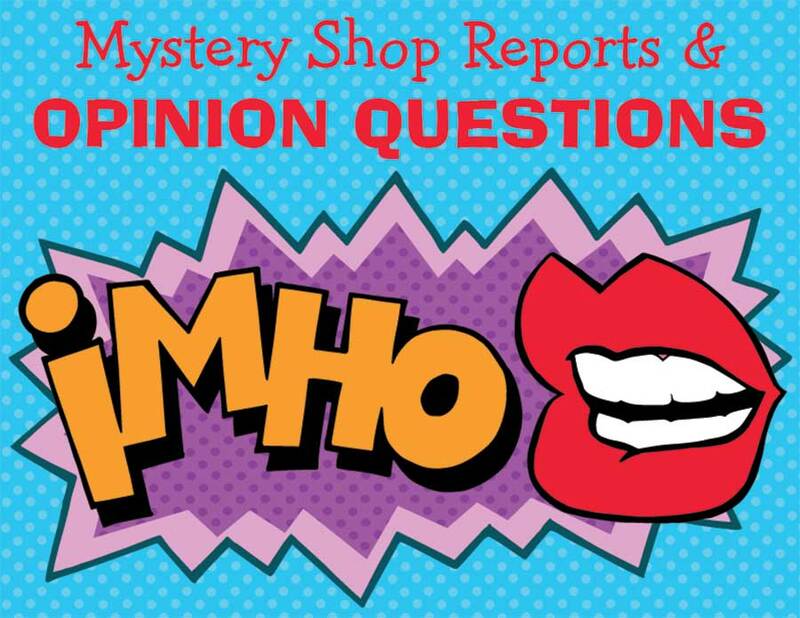 Want to learn more about writing great mystery shop reports?